What Function Does S31803 Stainless Steel Serve? Also known as duplex stainless steel, S31803 stainless steel is renowned primarily for its resistance to corrosion. This resistance to corrosion allows it to thrive in a number of different functions — functions that other stainless steels simply can’t serve. 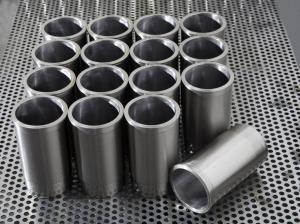 Are you interested in learning about the overall functionality of S31803 stainless steel? Would you like to know which industries primarily utilize it? Then read below. This blog post has you covered. Duplex stainless steel is used in a variety of different industries, most of which have to deal with potentially corrosive environments. The industries that are most heavily associated with S31803 stainless steel will be reviewed below. Due to its top-notch anti-corrosive capabilities, duplex stainless steel is used heavily in the chemical processing industry. This industry deals with the creation, distribution, and handling of many different chemicals. Duplex is commonly used because it can withstand these chemicals. Some of the chemicals that duplex stainless steel is resistant to include, but are not limited to phosphoric acid, nitric acid, calcium nitrate, and copper carbonate. The industry that S31803 is most deeply associated with is the oil industry. This industry uses duplex stainless steel primarily for offshore drilling purposes. This is primarily due to its terrific resistance to chloride corrosion. Because many pharmaceutical medications possess corrosive chemicals, it’s not at all unusual to see the pharmaceutical industry making use of S31803 stainless steel. The steel is used not only for processing and distribution purposes, but for storage purposes as well. S31803 possesses a number of characteristics which set it apart from other types of stainless steel. While its resistance to corrosion can rightly be considered its hallmark, it offers so much more than just corrosion resistance. Capable of withstanding the effects of both fire and saltwater, it rarely oxidizes or cracks. It can face decades of continuous exposure to these elements without encountering any impairment. Duplex is also quite strong. Though not as strong as some types of stainless steel, it can still withstand quite a bit of stress. In addition to hold weight well, it also performs exceptionally well amid physical trauma. However, what really makes S31803 stainless attractive is its price. There is no other form of stainless steel that can offer what it does for as low a cost. The reason for its low cost is because it contains a relatively small amount of nickel. What Types of Items are Made Out of S31803 Stainless Steel? As noted above, S31803 stainless steel is typically used in situations where corrosion is a concern. This is due to the top-tier corrosion resistance capabilities of duplex stainless steel. The industries mentioned above utilize duplex stainless to perform a number of tasks. In general, only a few specific components of a product will be made out of duplex. Other portions of the product will be made out of either another type of steel, or another material entirely. Most commonly, duplex will be used to make the bars, tubes, pipes, fittings, and other simple components found within a specific product. Looking for S31803 Stainless Steel Items? Do you have a use for S31803 stainless steel? Are you in need of S31803 stainless steel products? Great Plains Stainless is the company to call. Our selection of S31803 stainless steel items includes pipes, bars, fittings, forgings, and more. It doesn’t matter where you’re located in the world — we can deliver these items to you.